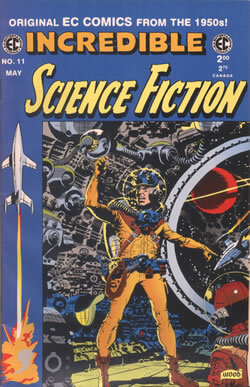 Wally Wood's backgrounds were very much a trademark of his science fiction art for EC. 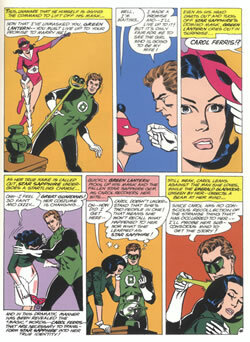 Kane's stablemate at DC, Carmine Infantino, was a master of suggestion. Whereas a modern artist would draw Gorilla City in loving and intricate detail, Infantino deftly suggests a vast city with a few sketchy lines. 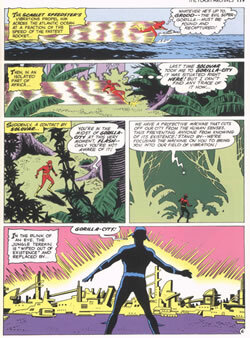 And check out the "foliage" in the 4th panel.